If you have been following our Casa De WagginTails Facebook page you know we have a new waggin tail in the family. Say hello to MeiLing. On Facebook she was introduced as MeiSong but that did not seem to fit. MeiLing works better. MeiLing is a 9 month old Chinese Crested who came from a breeder who is transitioning from Chinese Cresteds to Poodles. We landed in Pipe Creek, TX on Wednesday 9/26. Friday 9/28, I drove Carol to San Antonio where she met up with her sister Donna from The Happy Traills. 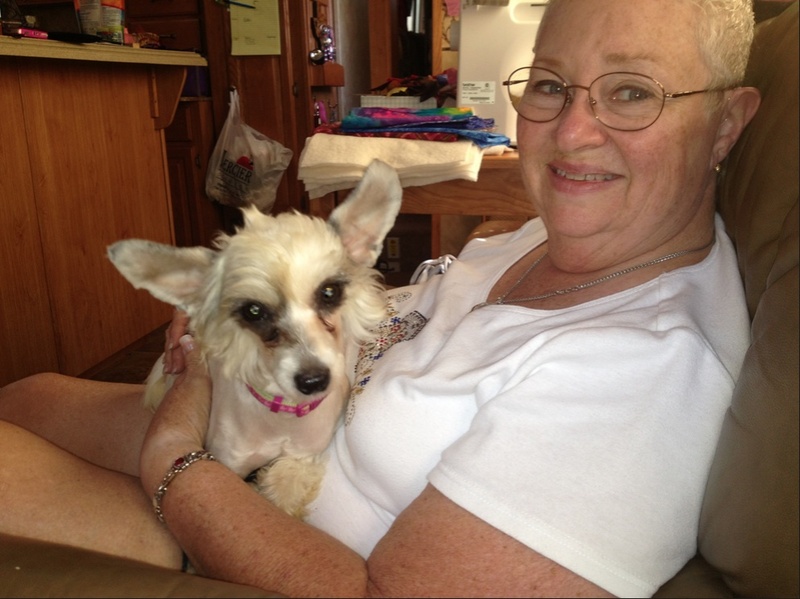 Together they drove to Tomball, TX to pick up MeiLing. She is cute as a button, very quiet and calm and loves to play like a puppy. And most important, she is house broken. She loves our fur babies and is a good blend for our family. Patches our cat is cat is doing a pretty good job of teaching MeiLing how to leave cats alone. MeiLing just thinks Patches is another small dog. Qianna will be going to her new home on Monday. Our Corpus Christi daughter & grandson are ready for a new addition to their family. Gage is old enough for added responsibility. They are coming up to Pipe Creek to visit us this weekend. We will miss Qianna but she will be going to family and is close. Today was my first day at work. 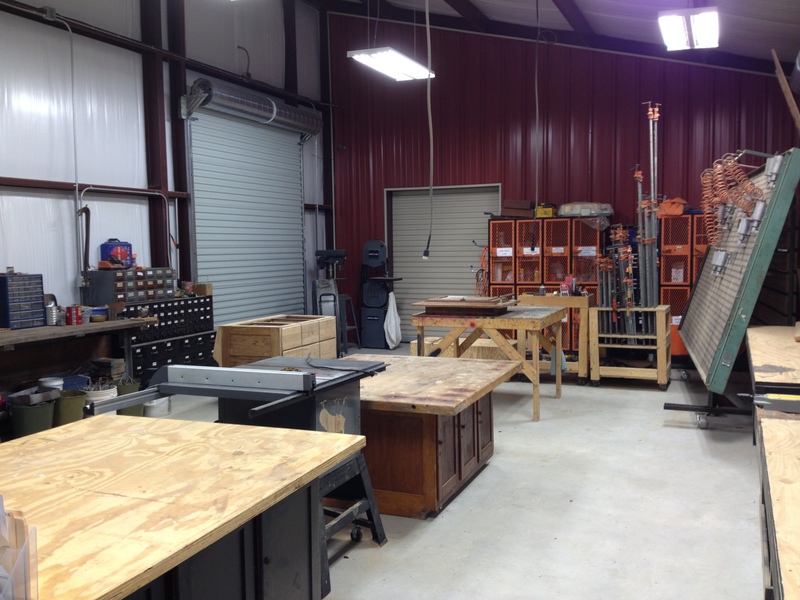 First I need to remind you what my wood shop in Corpus Christi looked like. This photo was taken a couple of weeks before out estate sale in November 2011 so things look a bit messy. 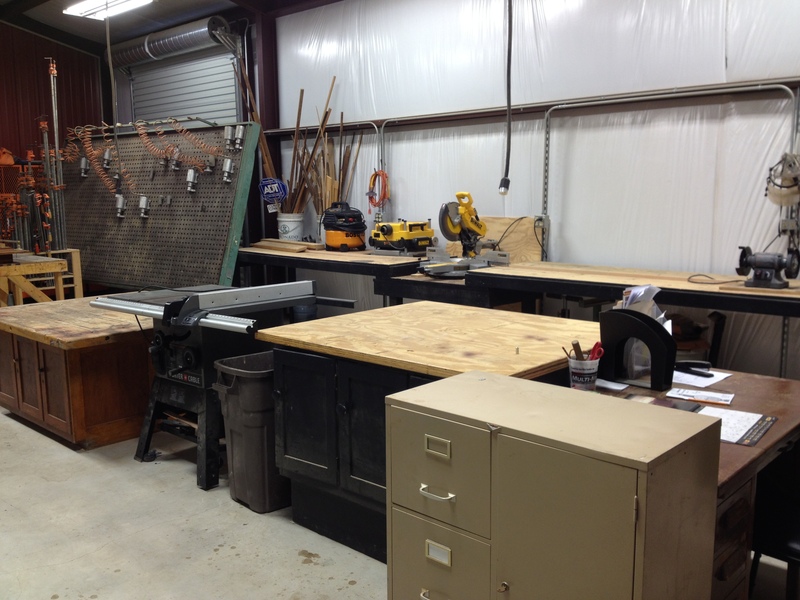 This is my new workshop. The door on the left is the intake area. Furniture to be restored comes in this door. The double door on the right is the spray room where the stripped and repaired furniture ends up for staining and finishing. Can you make out two bay doors in that middle section? Those doors open to the workshop. 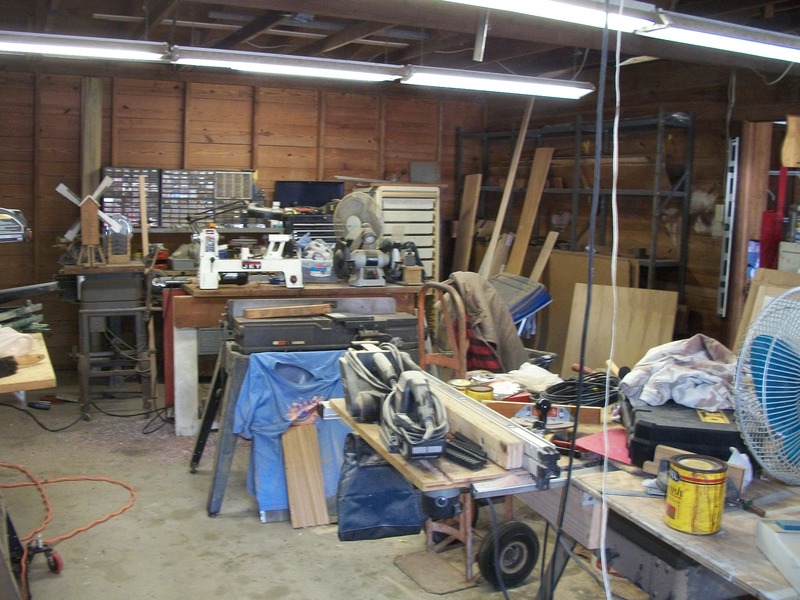 And here is an inside shot of the workshop. This is the back wall of the shop.That large thing on the let is our clamp rack. Pretty cool. This is the front wall. 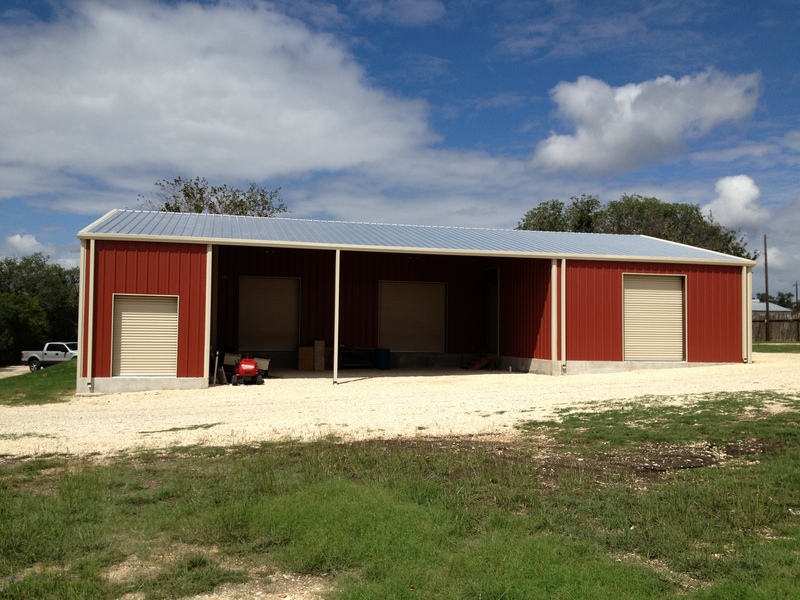 The tall bay doors opens to the middle section of the building. The shorter bay door opens to the intake area and wood rack. Speaking of wood rack? Smells real nice. 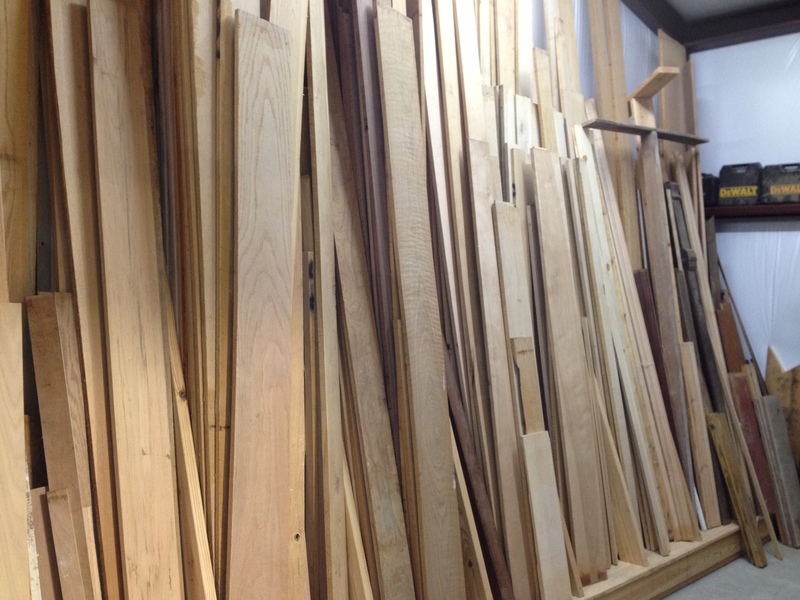 Walnut, Cherry, Quarter-Sawn White Oak and other goodies. Sweet! Well, that’s it for today. Tomorrow Laura and Gage come for the weekend. Saturday is Market Days in Bandera. Looking forward to a cool time. This entry was posted in Texas and tagged fur babies, woodshop. Bookmark the permalink. Jerry, you must be as happy as a pig in mud. Beautiful shop and so totally organized. I love that. Cute little baby you and Carol got.